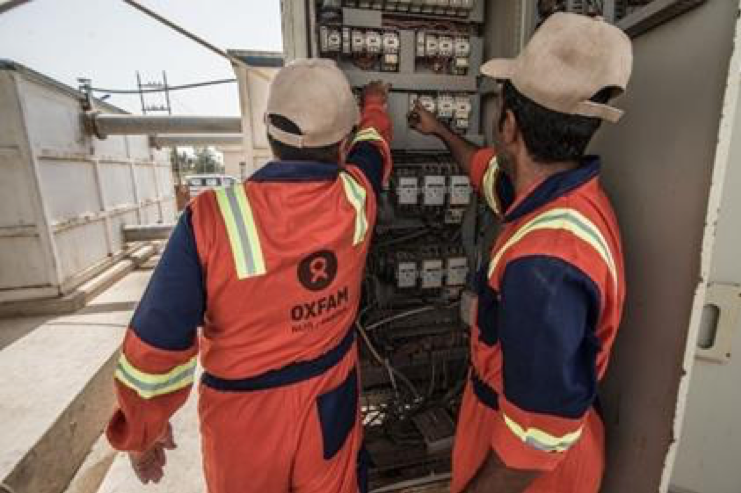 This year rather than selecting a specific project to donate to, we have decided to support various Oxfam water projects throughout the world, hence changing the name of the event to The Oxfam Walk For Water. In the UK we take clean, safe water out of our taps for granted, but in so many other countries it’s not like that. People who use unsafe river water for drinking suffer a high risk of disease. In addition, the journeys to collect water are dangerous; women and girls may get attacked whilst on their way. The hours spent in walking represent time lost from schooling, working and caring for families. Just as important as clean drinking water are adequate toilets. 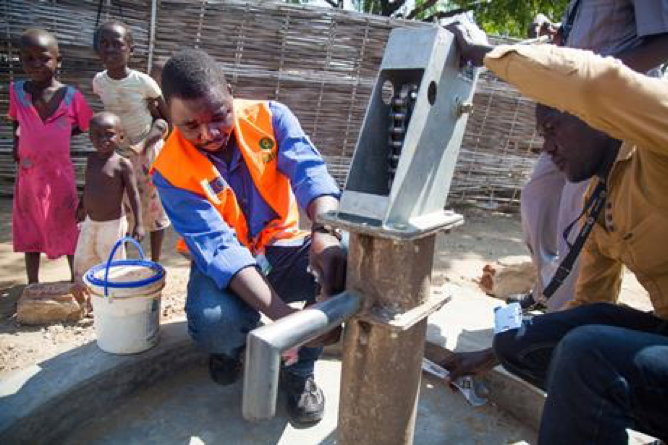 Click to see more about the work Oxfam does on water. The Oxfam Lifesaver Cube costs just £21 & provides safe, clean drinking water for families. 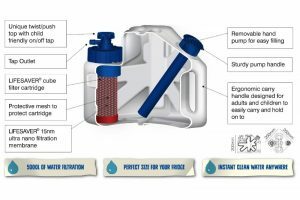 Dirty water goes in one side and with a few pumps of the handle, safe water comes out of the tap! It’s ideal for emergency situations when usual water supplies have been destroyed. 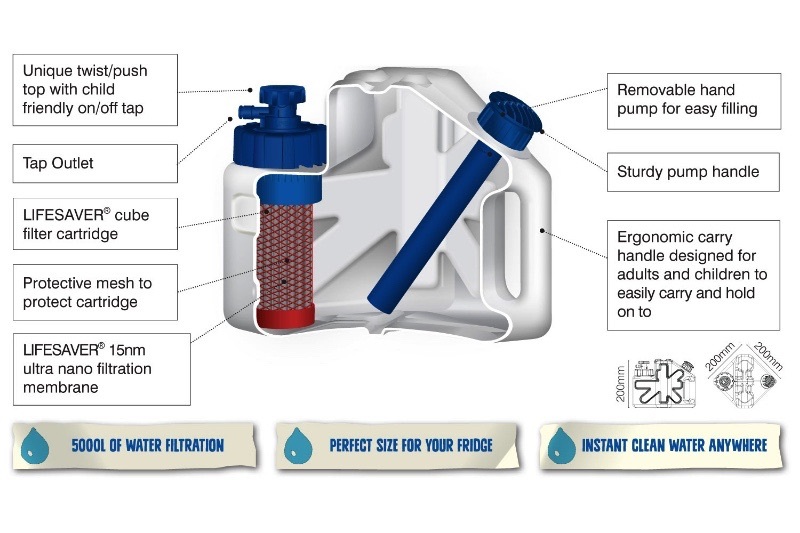 The LifeSaver Cube removes the harmful organisms from dirty water. It lasts a family 6 months without needing maintenance or chemicals. See the LifeSaver Cube work at HERE. We will also be demonstrating the Cube at our Street Collection in St Albans on 1st September. Please come down, say Hello & see for yourself! The Cube costs just £21. Help us get more ready for the next emergency! Water means work in South Sudan. 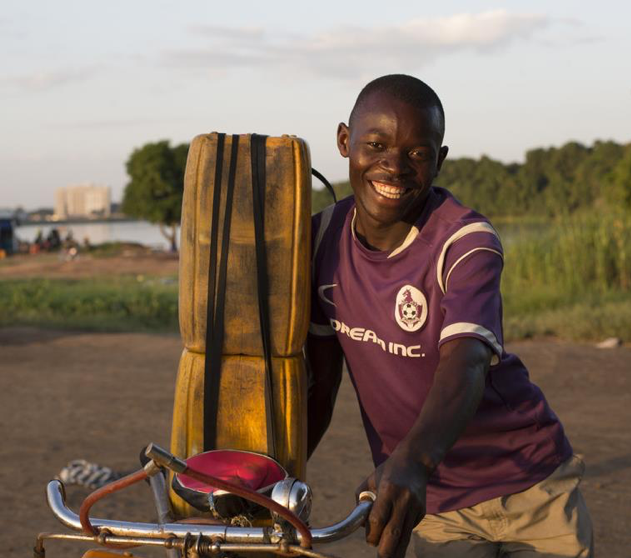 Brian fills large jerry cans with water and sells them at local villages. It’s hard,dirty, heavy work. Brian takes the jerry cans from place to place on his trusty bike. 8 jerry cans x 25 Kilos x 15 trips = 3 tonnes a day. That’s the weight of three white rhinos! 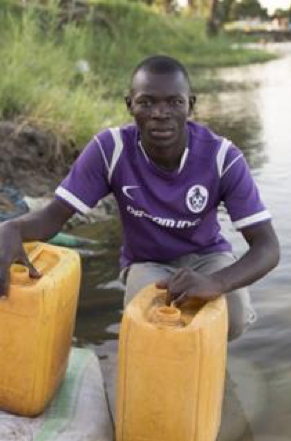 BUT Brian was filling his jerry cans DIRECT FROM THE RIVER NILE, which is polluted and carries waterborne diseases. 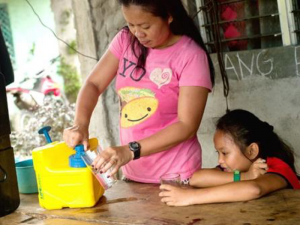 Now Oxfam has made a clean water system for the community, so Brian’s customers get safe water, and the spread of harmful diseases can be stopped. Brian’s still shifting three tonnes a day on his bike, but his water is clean. It may be thirsty work, but it’s having a real impact. 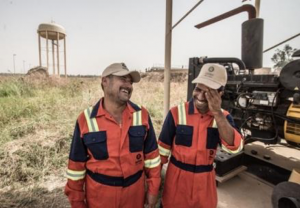 Rafd and Muhamed were among the first to return to their city of Saadiya in Iraq after it had been devastated by ISIS. Fighting had destroyed buildings and there was no clean water.With Oxfam’s help they have repaired the damaged plant and fixing 80% of the town’s water pipes. So, when other residents return and start rebuilding their lives, water is one less thing they’ll have to worry about. 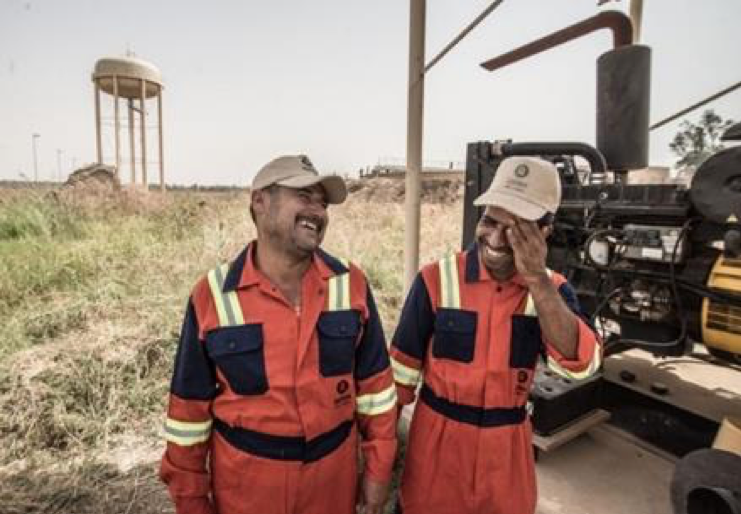 Across Iraq, Oxfam is supporting local authorities in repairing water systems both for people who’ve fled violence, and for thecommunities taking them in. To help support all these projects & more, or give £21 for a Lifesaver Cube please join us on 29th September for The Oxfam Walk for Water. REGISTER NOW FOR FREE. Or to donate please visit our Just Giving page.